What was the Eames DTW Coffee Table? 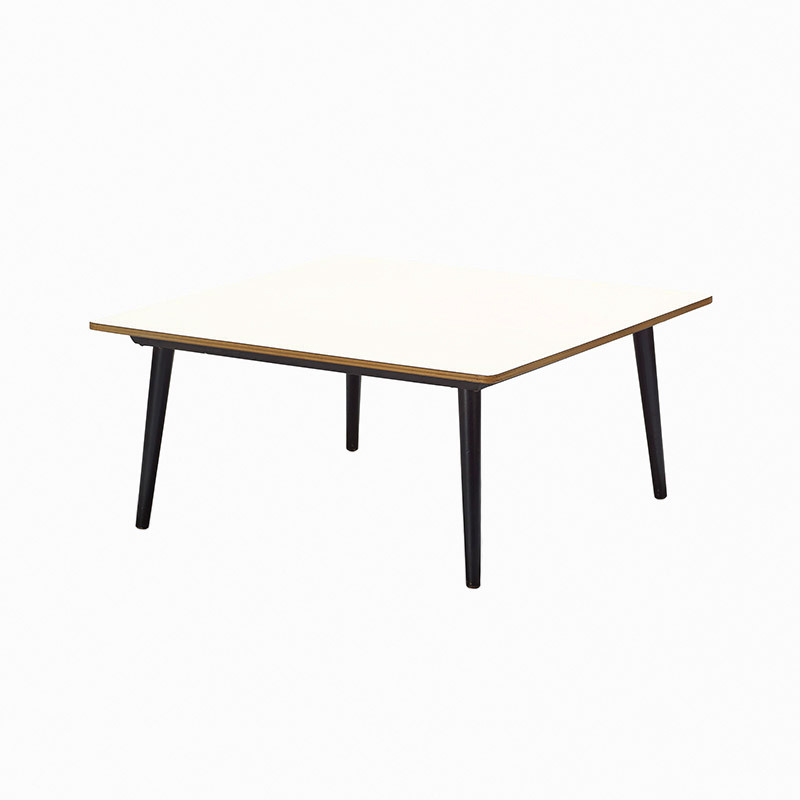 The Eames DTW coffee table was released in 1950 and was an extension of the range of the Dining (D) Table (T) with Wood (W) base tables. 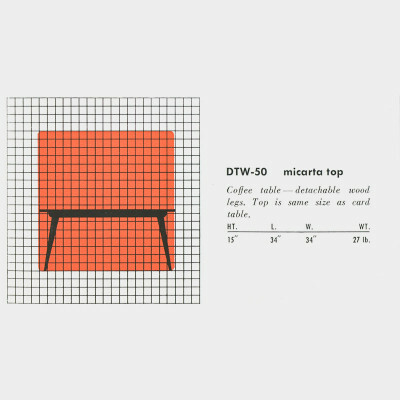 This in itself was an anomaly in the abbreviation coding as the table was clearly not a dining table, but it retained the DTW acronym as the more logical CTW, OTW or even CTM were already being used for other models. There was only one square size and the official model number was the DTW-50. 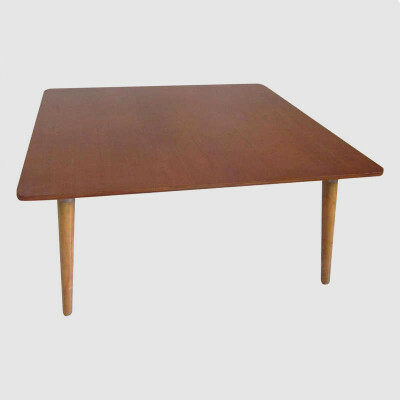 The first DTW dining table (DTW-1 and DTW-2) was originally released in 1946 with a tapered leg also made from plywood. 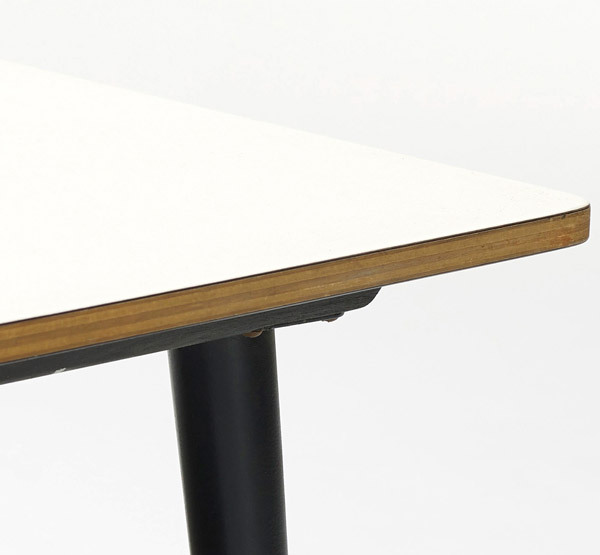 When Herman Miller took over the production of the tables in 1950, they changed the design of the table to have rounded de-mountable legs and a top as already used on the DTM. The Eames DTW coffee table was part of that new re-work and they lasted, along with its sister dining table (DTW-3 and DTW-4) until they were discontinued in 1957. All Herman Miller catalogs between 1950 and 1955 offer the DTW-50 only with a white Micarta laminated top, yet natural veneer versions are known to exist. The reason is most likely because the tops are the exact same ones used on the square DTM and DTW dining versions therefore the possibility of custom order was quite likely. The plywood furniture range that started in earnest in 1946 produced a number of coffee tables. The CTW and CTM were circular, the OTW was rectangular (or oblong) and the Eames DTW-50 was the only square one made. 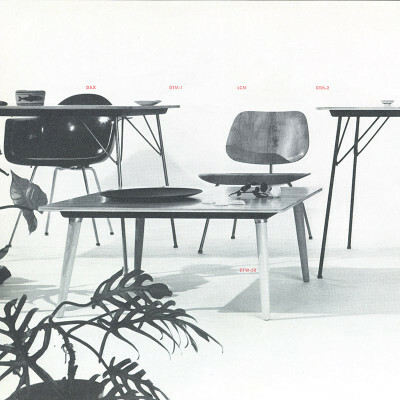 What were the original sizes of the Eames DTW coffee table? Is my Eames DTW-50 coffee table authentic? What makes it valuable? 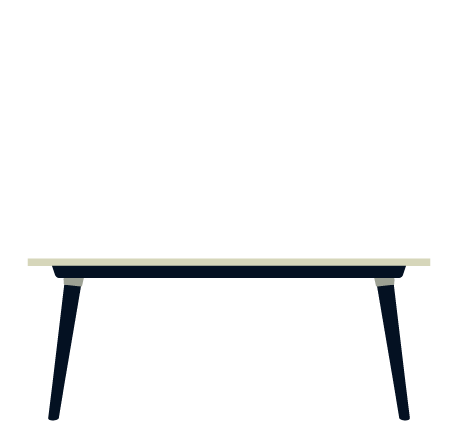 Along with the sister dining table, the Eames DTW coffee table is not believed to have been copied and remains one of the rarer early designs found in the marketplace. This makes authenticity virtually guaranteed but one should still check for ageing and other pointers. A Herman Miller label may be found on the underside of the top but it is also possible to find the model number scrawled there too. Labels would likely be the foil strip, silver medallion or half label. Look for the unmistakable 5 layer plywood build of the table top itself as well as the plastic laminate finish (unless a natural version). The tables sold in modest numbers and as such they do not come along for sale very often. They will command a good base price with it's condition being the overall factor of the value. 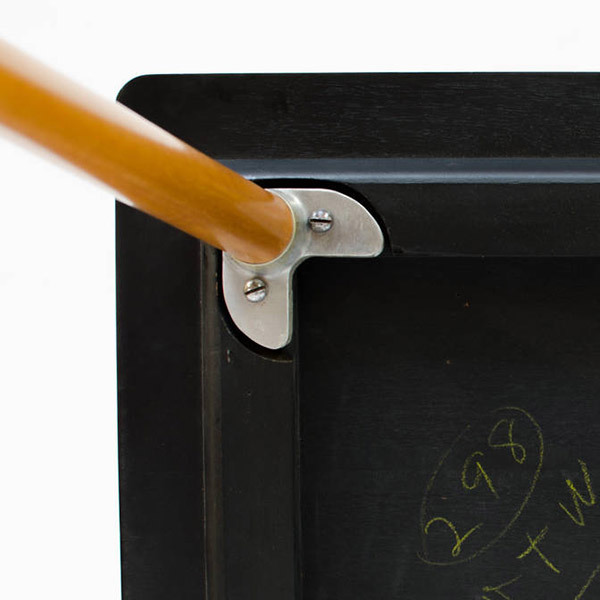 The important places to look are the table edges, especially where the plastic coating meets the side. This is the point most susceptible to impact damage and apart from chips, damage in those areas can also cause lifting of the laminate or natural veneer on the surface. Needless to say, flaking or chipped surfaces will impact the value. Being a coffee table, natural signs of use may include rings from hot cups which could have a detrimental affect on the desirability and value.